November is Diabetic Eye Disease Awareness Month, so this blog post is geared toward diabetes education. Before you discard this because you’re not diabetic, read on! A staggering number of people are unaware that they are diabetic – 8.1 million Americans, to be exact. [i] This is why routine, annual physicals (including blood work) are so important. In addition, more than 29 million Americans have diabetes and 86 million Americans aged 20 years or older are pre-diabetic. [ii] These are sobering statistics, particularly considering that a large portion of diabetic cases can be controlled, or even prevented, with daily exercise and better food choices. Among the many dangerous health effects of diabetes, it can also affect your eyes and your vision. Type I Diabetes (also known as insulin-dependent diabetes): In this form, the body doesn’t produce insulin. Approximately 10% of all diabetes cases are type I. [iii] Often affecting children (juvenile diabetes), most type I diabetes affects those under 40 years of age. Patients with type I diabetes must take insulin shots for the rest of their lives. Type II Diabetes (also known as adult-onset diabetes): The remaining 90% of diabetic cases fall into this category. [iv] With this form of diabetes, the body either does not produce enough insulin, or the cells in the body do not react to insulin (insulin resistance). Patients with type II diabetes can sometimes control their insulin levels with exercise and diet. When those actions alone aren’t sufficient, oral medication can be prescribed. A simple, fasting blood glucose test can detect diabetes. This is typically taken first thing in the morning, on an empty stomach. In addition to this, the hemoglobin A1C should also be determined, as this is the new health standard in diabetes management. This test reveals your average blood sugar level for the past two to three months. A higher than normal A1C level means that your blood sugar is not being controlled properly, which can elevate your risk of diabetes complications. Diabetic Retinopathy: This disease causes damage to blood vessels in the retina, the light-sensitive tissue that lines the back of the eye. The retina is the part of the eye that detects light and converts it to signals sent through the optic nerve to the brain. Diabetic retinopathy can cause blood vessels in the retina to hemorrhage (bleed) which results in distorted vision. When advanced, new abnormal blood vessels proliferate (increase in number) on the surface of the retina. This can lead to scarring and cell loss in the retina. Diabetic retinopathy is the most common cause of vision loss among people with diabetes and can cause blindness. Diabetic Macular Edema (DME): DME is swelling in the macula of the eye which is a result of diabetic retinopathy . The macula is the area of the eye which is responsible for fine, detailed central visual acuity. Symptoms of DME can mimic those of ARMD, such as blurry and distorted vision. What can I do to prevent diabetic eye disease? As with most diseases, your best prognosis comes with early intervention. The first order of business is the initial diagnosis. At a minimum, you should have your blood sugar and Hemoglobin A1C tested annually as a part of a routine physical. 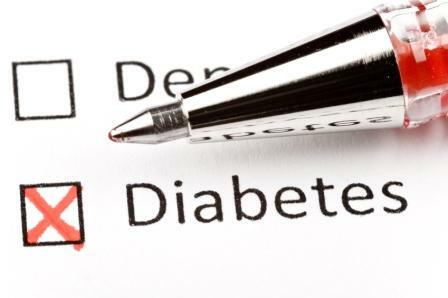 If it’s been determined that you are pre-diabetic or diabetes is suspected, your primary care physician may want to repeat these tests at more frequent intervals. The next step is keeping your blood sugar under control. As far as your eyes are concerned, you should see an ophthalmologist annually for a dilated eye exam to check for the effects of diabetes in the back of the eye (the retina and the macula). You will also be checked for cataracts and for signs of glaucoma. If diabetic retinopathy or diabetic macular edema is present, you may be referred to a retinal specialist to explore treatment options.